Short Debate: Technology and the Welsh language: Risk or opportunity? Senedd Live will be back on Tuesday 4 July. Minister for Lifelong Learning and Welsh Language Alun Davies acknowledges that fully embracing technology and the digital world is crucial to Labour's assembly election manifesto commitment to ensuring there are a million people speaking Welsh by 2050. "Technology does not have to be an enemy to the Welsh language," says Llyr Gruffydd. 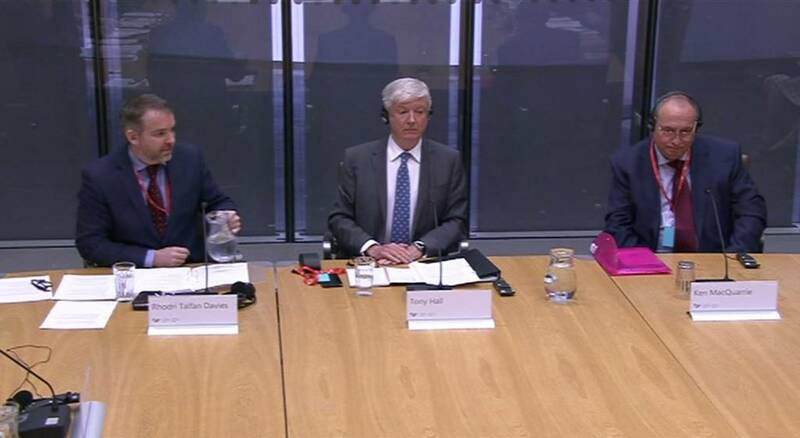 He calls for long-term investment in both Welsh and bilingual digital services. Llyr Gruffydd asks the iPhone Siri virtual assistant a series of questions in Welsh, which it misunderstands. Finally in the Siambr today is a Short Debate by Llyr Gruffydd (North Wales). "Technology and the Welsh language: Risk or opportunity? "The challenges, threats and opportunities presented by new technologies for the Welsh language". Minister for Skills and Science, Julie James defends "the ambition of the Welsh Government in developing a new all-age employability plan, a key part of which is the need for effective and joined-up careers advice to support individuals into the most appropriate educational, employment and training opportunities". She stresses the "vital importance of adult learning and supporting skills development at all ages". Plaid Cymru's Llyr Gruffydd urges the Welsh Government to "confirm its proposals for student support and higher education funding as soon as reasonably practicable to allow the higher education sector to plan ahead for the 2018/19 academic year". Earlier in the week we heard from the new MP for Bristol North West, Darren Jones, who claims to be the first Darren ever elected to the Commons. The first Darren in the Senedd, Darren Millar, declares an interest in this debate as a part-time HE student. He claims Careers Wales is "not fit for purpose, hugely under-resourced and not delivering the sort of independent and bespoke advice our learners need". We move on to the Welsh Conservatives debate. "1. Recognises the vital contribution that part-time higher education makes to the Welsh economy, especially in our most disadvantaged communities. 2. Supports initiatives such as Adult Learners Week and recognises the importance of adult and community learning opportunities to Wales. 3. Welcomes the proposed support package for part-time higher education and part-time students put forward in the Welsh Government's response to the Diamond Review. b) invest in adult community learning to enable pathways for all into, and through, further and higher education". Lesley Griffiths, Cabinet Secretary for Environment and Rural Affairs, sets out the Welsh Government's response, which can be seen in detail here. All the recommendations are accepted, some in principle. "We should be preparing for a worst-case scenario of falling off a cliff and falling onto World Trade Organization (WTO) rules," says Eluned Morgan. New committee chair Mike Hedges (Swansea East), who was appointed to the role last week, presents the report which has 26 recommendations. The first recommendation is that "the UK Government should seek tariff and quota-free access to the EU Single Market for Welsh agricultural and food products". The next debate in the Siambr is a debate by the Climate Change, Environment and Rural Affairs Committee on its report on the future of agricultural and rural development policies in Wales. The proposal is agreed without objection. Lesley Griffiths responds to the debate by saying "much of it does chime with my energy statement in December last year". She says "we are making progress in tackling fuel poverty, despite many of the levers not being devolved". On home energy efficiency, Lee Waters says "the Welsh Government has done much, but we need to do much, much, much more". UKIP's David Rowlands says there is "more than a little irony in the proposal to reduce fuel poverty when much of it is the result of high fuel prices caused by decarbonation levies". Huw Irranca-Davies commends the report Energy efficiency:An infrastructure priority, which sets out "a strong case for Government to make home energy efficiency an infrastructure investment priority and to develop an infrastructure programme to deliver it". We move on to a Debate by Individual Members. 1. Notes the £217 million Welsh Government investment over the last 5 years and further commitment of £104 million for the next 4 years to improve home energy efficiency and tackle fuel poverty. 2. Further notes that investment in home energy efficiency needs to be dramatically scaled-up if Wales is to achieve its aims around decarbonisation and reducing fuel poverty. 3. Calls on the Welsh Government to consider a broader range of investment approaches for energy efficiency including innovative finance, putting public sector pensions to good use, and tapping into private sector funding. 4. Notes the proposal to establish a National Infrastructure Commission for Wales and calls on the Welsh Government to ensure that the long-term energy infrastructure needs of Wales and the opportunities for energy efficiency are included within its remit. 5. Believes that such investment would dramatically boost efforts to tackle fuel poverty in some of our older homes, providing warm and cosy homes, improving the health and well-being of all and particularly the vulnerable. 6. Further believes this would help tackle climate change, reducing the carbon emissions through energy efficiency, reducing energy consumption and reducing the number of new power stations we need to build. 7. Recognises the potential for economic growth, creating many thousands of jobs in every community throughout every part of Wales. We now have the 90 Second Statements, where three AMs have the opportunity to raise issues of topical interest.